Optional: Add a handful of chopped dark chocolate pieces. Prepare two baking sheets with baking paper. Melt the butter, add the vanilla essence into the melted butter and pour over dry ingredients. Take a tablespoon of dough and roll between your hands into small, compact balls. Put balls of dough onto the baking sheet and gently press flatter with the back of a spoon. Bake for about 10 minutes, or until the biscuits are golden brown. (Be careful not to burn them). For a firmer biscuit, store in the fridge. 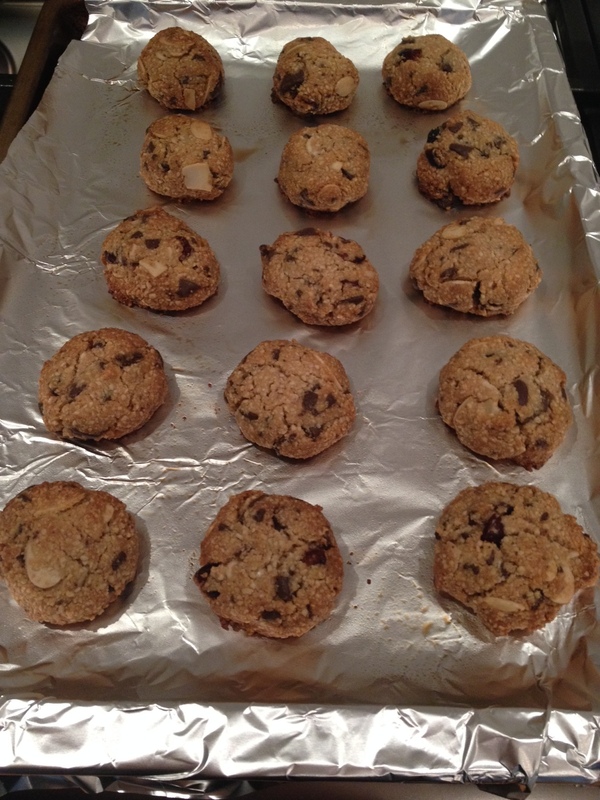 Posted on July 27, 2014, in Primal 101 and tagged almond biscuits, banting biscuits, cranberry almond cookies, Primal treats. Bookmark the permalink. 2 Comments. The Almond & cranberry biscuits are too crumbly, perhaps add a egg for binding?